Please visit this page for updates on some of our exciting adventures in learning. Sixth grade African drumming and dancing. Flash needs to be enabled on your computer in order to watch this video. 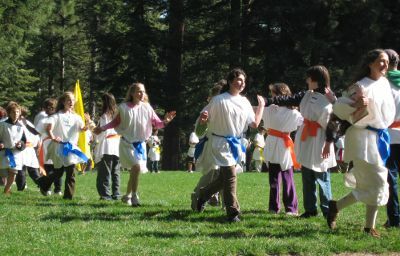 In May, the fifth grade traveled to southern Oregon to participate in the annual Greek Olympiad. 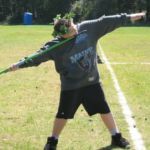 Six other Waldorf and Waldorf inspired schools came together to compete in sprinting, discus, javelin, Greek wrestling, long jump, and the city-state relay race. Our students were judged not just on speed and distance, but on their beauty, grace, form, and sportsmanship in each event. They made many new friends and came home with a greater appreciation for this ancient Greek tradition.